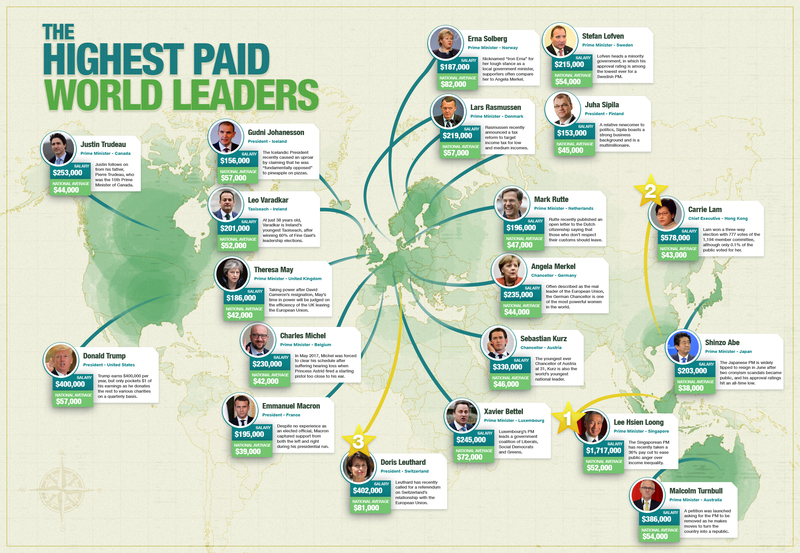 Our map of the Highest Paid World Leaders shows that the Prime Minister of Singapore, Lee Hsien Loong makes over three times the amount of the second highest earning world leader in Hong Kong’s Carrie Lam, pocketing a huge $1.7m per year. The UK’s Prime Minister Theresa May earns a reported $186,000, compared to Donald Trump’s $400,000 per annum although he only accepts $1 of his salary. Norway’s Prime Minister Erna Solberg earns only $100,000 more than the average Norwegian worker due to country’s high average national income. 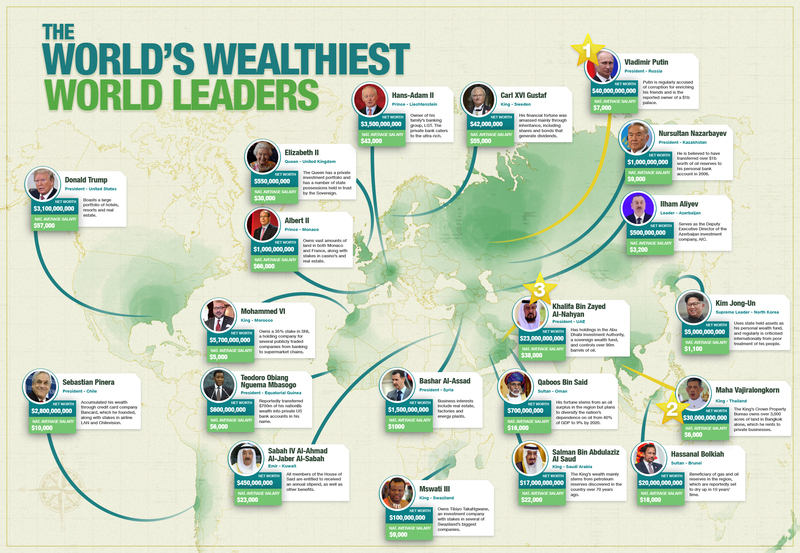 Due to his reported holdings in many private businesses, Russia’s Vladimir Putin comes out on top when it comes to the World’s Wealthiest Leaders with an estimated fortune of $40B. Despite North Korea’s national average salary coming in a $1,100 per annum, Leader Kim Jong-Un is said to have a private wealth of over $5B, coming from him using state held assets as his personal wealth fund.